Bike Art or Bike Trash? 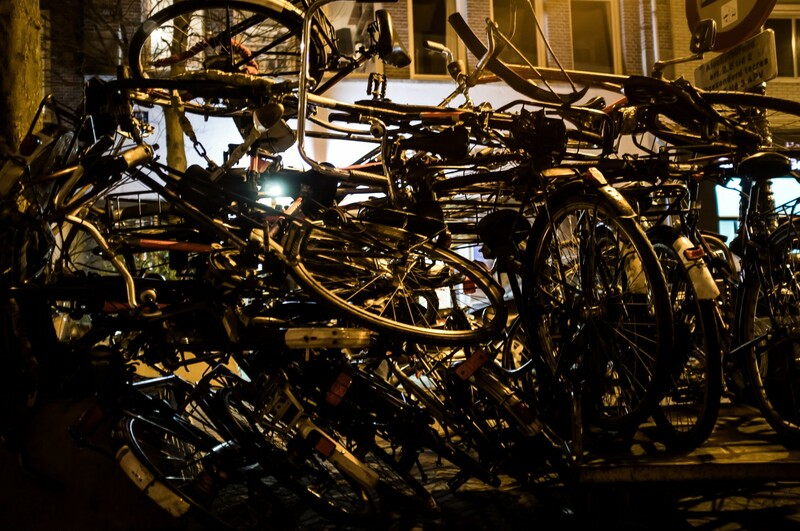 On Queen's Night, we saw this amazing bike sculpture - probably bikes that were parked forever on a single spot. I still need to work on my focus at night time and double checking my focus.